When you visit San Francisco you have so much to see and do. Not just in the city itself but in the surrounding towns and counties there’s so much for you to experience. 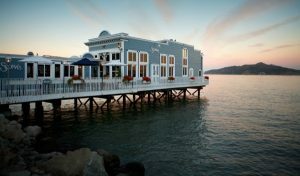 The pleasures of the Napa Valley, Sonoma, and the natural beauty of Marin are less than an hour away from the “City by the Bay.” We’re here to help you plan a great day trip from San Francisco that can include sightseeing and shopping as well as wine tours and tastings and our chauffeur tour guides will enhance your journey. Heading north over the iconic Golden Gate Bridge we can connect you to one of the most well-known and breathtaking destinations outside of wine country, the primeval forest known as Muir Woods. 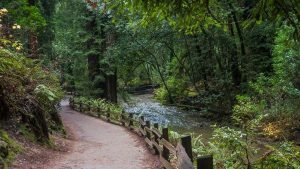 Federally protected since 1908, a walk through old growth coastal redwoods will charm any nature lover. These majestic trees are often over 100 feet tall and create a memorable living landscape! After connecting with nature, Sausalito provides a chance to unwind and be charmed by cobbled sidewalks and fresh sea air. Some of the bay area’s most unique shops dot Main Street and offer a glimpse of past nostalgic times. While this destination is great for a browsing and shopping experience, waterfront restaurants, wine bars and California sunshine will help make this a lasting memory. Heading inland from the coastal redwoods, we enter into Sonoma. 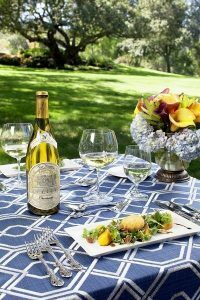 The rustic ‘farm-to-fork’ philosophy of Sonoma is truly exemplified in its restaurants which makes it a great lunch spot. The creative menus are based on a seasonal and local fare, featuring farms and farmers from the surrounding areas. The El Dorado Kitchen offers a truly satisfying dining occasion. The cuisine is earthy, sophisticated and delicious. Ingredients are sourced from local producers and presented in complex yet approachable variations. The main dining room features a 21-foot-long chef’s table while outdoor dining is offered poolside or under fig trees. A meal near the fireplace is ideal, especially during the cooler winter months! As we head further into wine country, we come to the Napa Valley. The wine tours here are world class, and offer stunning wine tastings with genuine hospitality that will have you planning a return trip before you leave. We invite you to come with us and visit spectacular and world famous wineries. Any visit to Napa requires a stop at Far Niente. Founded in 1885 the name translates to ‘without a care’ and is still operating in its original grandeur, with only a small hiccup during Prohibition. The winery makes wine in the highest form and focuses on an estate Chardonnay and Cabernet Sauvignon renowned on their ability to evolve into extended age. If you have more than a day to spend in Wine country then we can show you both Sonoma and the Napa Valley. Give us a call today (800) 387-2328 or sent us an online request here and let us help you plan your wine tours with you.